This is one of the most favorite stories of Jim Corbett himself. The Thak man-eater was a female Bengal tiger who killed and ate four human victims (two women, two men) between September and November 1938. She was operating in Kumaon, at the Nepalese border, between the villages Thak, Chuka, Kot Kindri and Sem. This was the last man-eater killed by Corbett. The story about Thak man-eater is known as one of the most dramatic stories about man-eating animals. Before Jim Corbett began his mission, he had declared that if he could not kill the man-eater in seven days, he would hand over the task to someone else. On the seventh day evening he failed in his job. However the last minute tricks, his presence of mind, the thrill holds the audience intensely. Recorded in the Indian language Marathi. 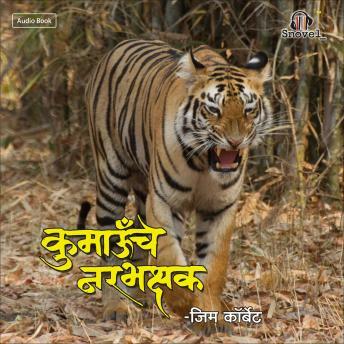 Narrated by Sachin Khedekar, Ketaki Saraf, and Vikas Patil.